Nice contemporary styling and beautiful European quality these wall hung towel hanging bars add the important finishing touches to good bathroom design. 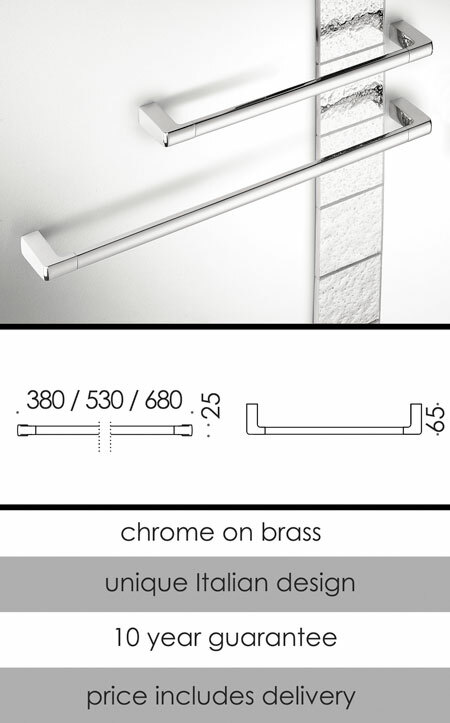 Made of chrome plated brass and available in three towel rail lengths. Part of a matching luxury bathroom accessory collection.